Meanwhile the police authorities of Gilgit-Baltistan are trying to signal that they have the situation under control again. 16 terrorists had been identified, police chief Usman Zakaria said. The perpetrators were still hiding somewhere in the Diamir valley. After the bloody attack of last weekend all expeditions had to leave the west side of Nanga Parbat and returned to Islamabad. I asked the Alpine Club of Pakistan (ACP) whether the whole Nanga Parbat area will stay closed all summer long. 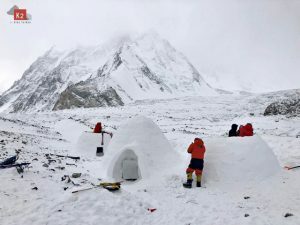 “Only five groups comprising various nationalities had applied for Nanga Parbat and were climbing during the summer season, out of which four were attempting Diamir side and one (Romanians) was attempting Rupal side”, ACP President Manzoor Hussain answered. 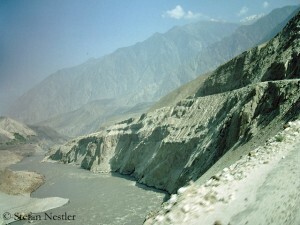 The expeditions on the Diamir side had been evacuated due to the attack and would not be going back. The group on the Rupal side was still climbing the mountain. “Certainly as there are no more applications for climbing Nanga Parbat during summer hence the season is over”, Manzoor Hussain concluded. And what about the Romanians? For security or to bring bad news? The climbers on the Rupal face are obviously unsure whether they have to leave the mountain too. “We worked so hard. 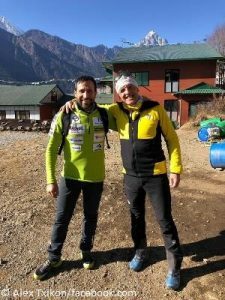 I do not want to finish like this”, Torok Zsolt complained, after he had reached a height of 7200 metres together with his teammate Aurel Salasan. Both climbers went down to Camp 2 on 6000 metres to consult with the other expedition members about how to proceed. Allegedly, two police officers are waiting at base camp. It’s still unclear whether they were sent for security reasons or simply to end the expedition. I’m still waiting for a reply to the request I sent to the Pakistani agency which has organized the expedition for the Romanians. Update 10:00 p.m.: Mohammad Ali of the agency Karakurum Magic Mountains has informed me that the final decision will be made on Friday (28th June). 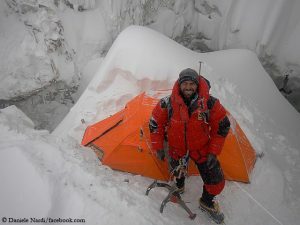 Update 28th June: The Romanians decided to continue their expedition on Nanga Parbat. “Evacuation would have been the easiest choice for us, but we also didn’t chose the easiest route on the mountain. 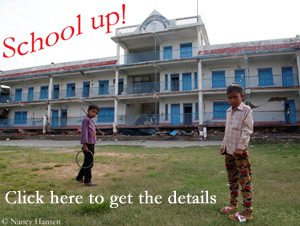 We go forword! We thank you for the good thoughts and don’t worry for us, because is a negative energy”, Zsolt said.